Resin producer Sika has appointed Ivo Schädler as part of the group management. Resin producer Sika has appointed Ivo Schädler as part of the group management, responsible for the Europe, Middle East and Africa (EMEA) region. Schädler began his career at Sika in 1997 and has held various management positions at the Swiss national subsidiary before becoming general manager for the UK and Ireland in 2012. 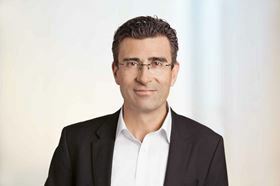 In 2015 Ivo Schädler was appointed Area Manager Europe South and Head EMEA Target Market Refurbishment. His area of responsibility included sales activities in the major EU countries; UK, France, Italy and Spain, as well as in the repair and maintenance sector in the EMEA region, managing a turnover of around CHF1 billion. This story is reprinted from material from Sika, with editorial changes made by Materials Today. The views expressed in this article do not necessarily represent those of Elsevier. Sika Corporation, a supplier of sealing, bonding, reinforcement, lamination, and acoustic products, will be exhibiting at the CAMX show.